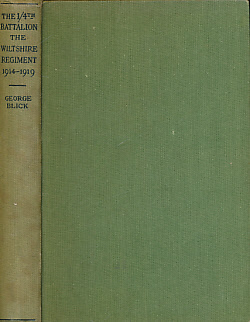 Barter Books : Blick, George; Stanley, Gerald [ed.] : The 1/4 Battalion the Wiltshire Regiment 1914 - 1919. 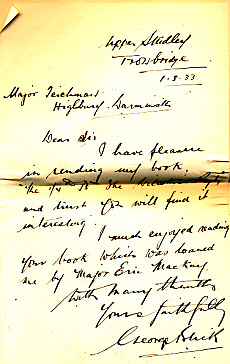 Presentation Copy With Letter. 190 x 140 mm (7 x 6 inches) - 142pp. G : in Good condition without dust jacket. Spine mottled. Foxing at edges. Tipped in at prelims, a handwritten letter from the author. Pasted onto rear endpaper, a press clipping relating to a regimental dinner in 1934. Further clippings loosely inserted.